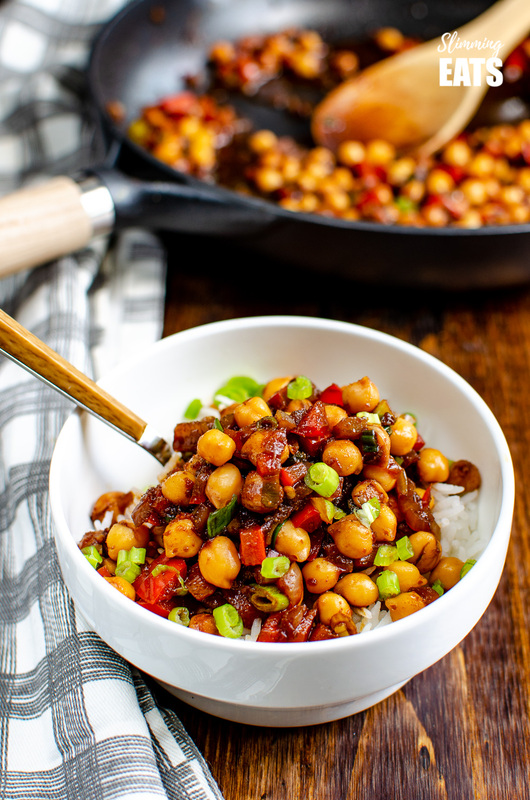 Chinese 5 spice Chickpeas – the perfect quick and easy recipe for anyone looking for a meat-free Chinese Fakeaway meal. I’m not vegetarian, but I love adding in meat-free dishes to my week. The beauty of vegetarian dishes is that they can often be made easily on a budget with store cupboard ingredients. My pantry cupboard is stocked full with varies dried beans and lentils as well as canned things like chickpeas, butter beans, black beans etc. 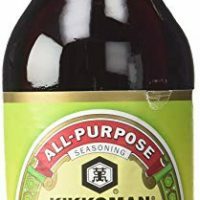 I love to have these things on hand, because I know if I get busy with something and it close approaches meal time I can grab something out of the cupboard and have something quick and delicious on the table in minutes. Good food doesn’t always need to combine expensive ingredients. So if you are on a tight budget and need to keep shopping costs down, check out my Slimming World – 20 Tips for shopping on a Budget post for some awesome tips. Lately, I’ve been loving chickpeas. They are great in salads or in this amazing Roasted Sweet Potato Hummus – which is my kids favourite hummus recipe of all time. It’s gone pretty much as soon as it’s made an placed in a dish for them to dig into with some crackers or chips (veggie crudites for me though of course). 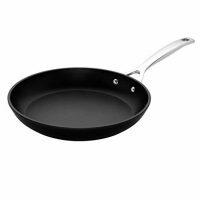 Firstly drain and rinse a can of chickpeas under cold running water, then I spray a frying pan with cooking oil spray, add in the chickpeas and fry for a few minutes. Then just pan fry till coated and heated through – yum!! You must try it, perfect for adding a little healthy protein and fibre to your salad and takes away the craving for something like croutons. 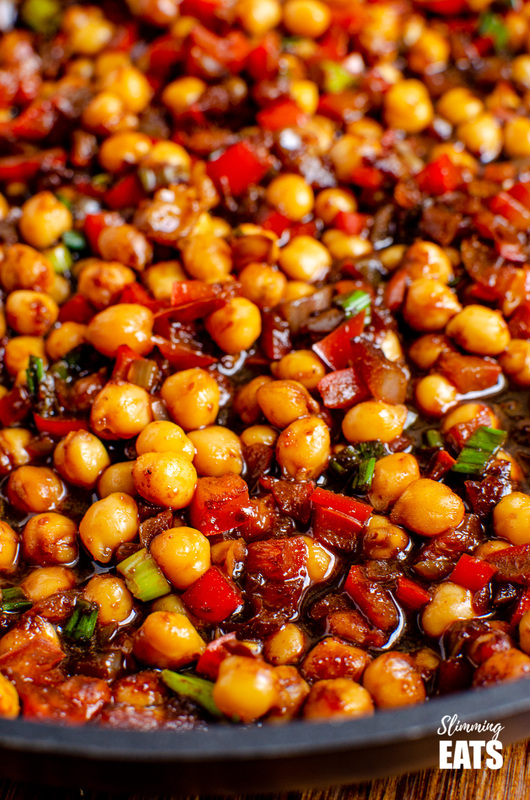 Today for lunch I fancied something a little different with Chickpeas and had this idea in my head for Chinese 5 Spice Chickpeas. Now I know chickpeas are not something you would usually see in a Chinese style dish, but that doesn’t ever mean you can’t use them. 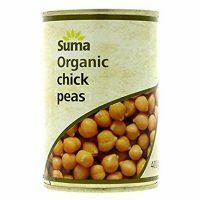 The chickpeas worked perfectly and would be a great option for vegetarians. 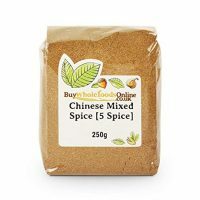 How can I add a 1/3 speed foods to this Chinese Five Spice Chickpeas? 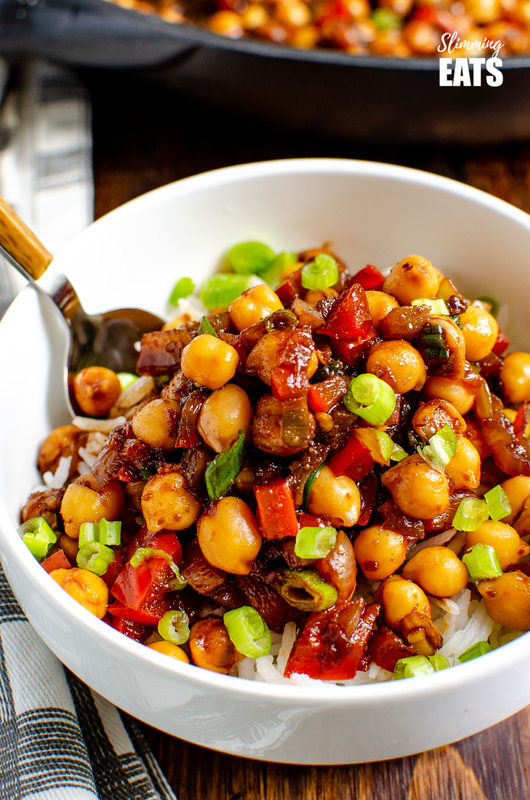 There are some onions and peppers in the Chinese Five Spice Chickpeas, but you can add to that too but including some more vegetables like mushrooms etc or serve alongside a serving of some braised bok choy, or bean sprouts. Another great option is this Roasted Cauliflower Rice instead of regular rice. 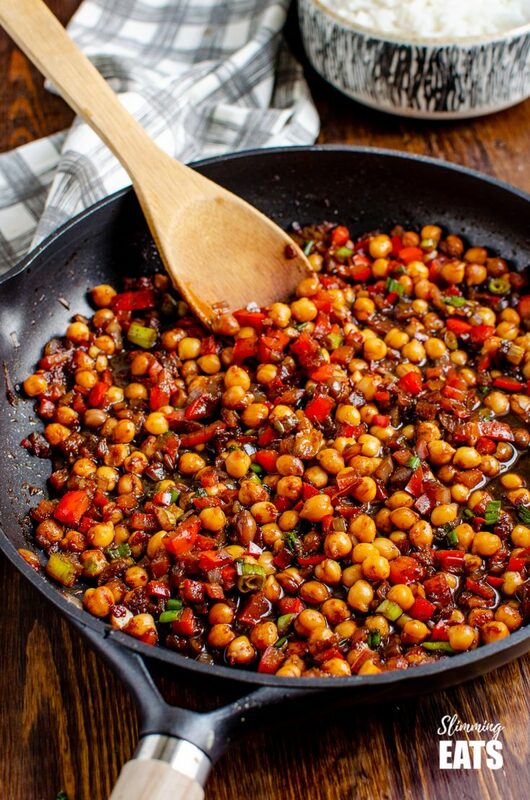 What Kitchen Items do I need to make this Chinese Five Spice Chickpeas? 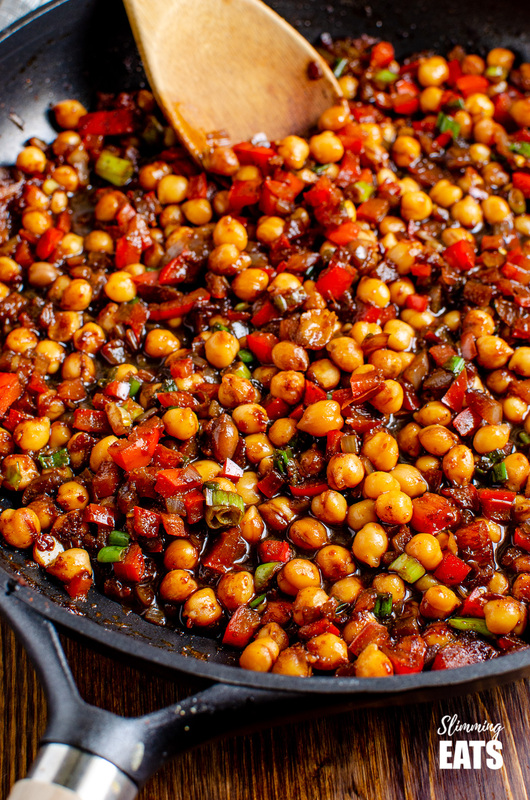 Chinese 5 spice Chickpeas - the perfect quick and easy recipe for anyone looking for a meat-free Chinese Fakeaway meal. Add the onion and fry for a few minutes till translucent. Then add the garlic and ginger to infuse the flavour. To prevent it from burning add a little bit of water and continue to fry until the onions are softened. 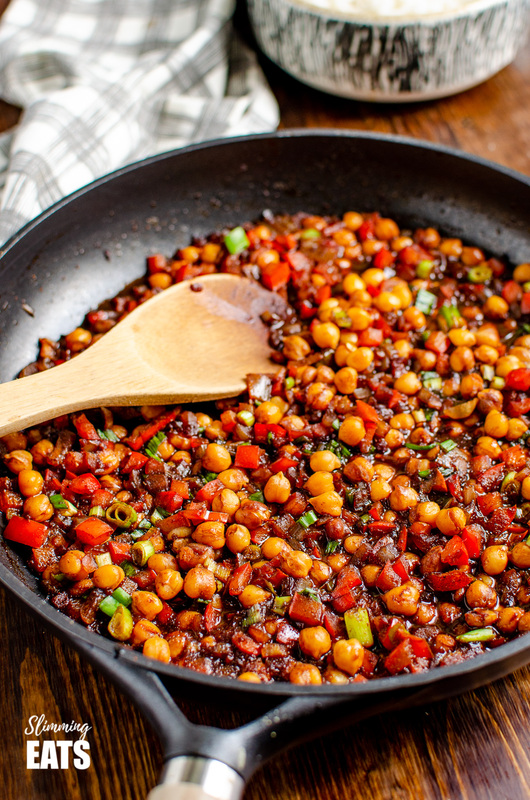 Add the chickpeas, red bell pepper, soy sauce, water, maple syrup, sambal oelek and five spice and allow to bubble until the sauce reduces down and just coats the chickpeas. Sprinkle with the chopped spring onions. NOTE: I don't recommend using sweetener instead of the maple syrup, as you won't get the same result with the sauce. I made this for my evening meal tonight. Putting it together I did wonder how it would taste as there aren’t loads of ingredients. However I needn’t have worried – the flavours work together incredibly well and it makes a warming and tasty dish. I have just had a sneaky second helping and there is enough left for lunch tomorrow when I know it will taste even better as the flavours will have developed even more by then. Losing weight is ridiculously easy following the recipes on Slimming Eats. Have never understood why people use meal replacement products when you can eat like this every day!! Hi I made this for dinner tonight and it was delicious although I did add a box of sliced mushroom to it to bulk it out a little – thanks for the recipe. Ahh thank you so much for such a lovely comment Ali. I’m so glad you enjoyed this.